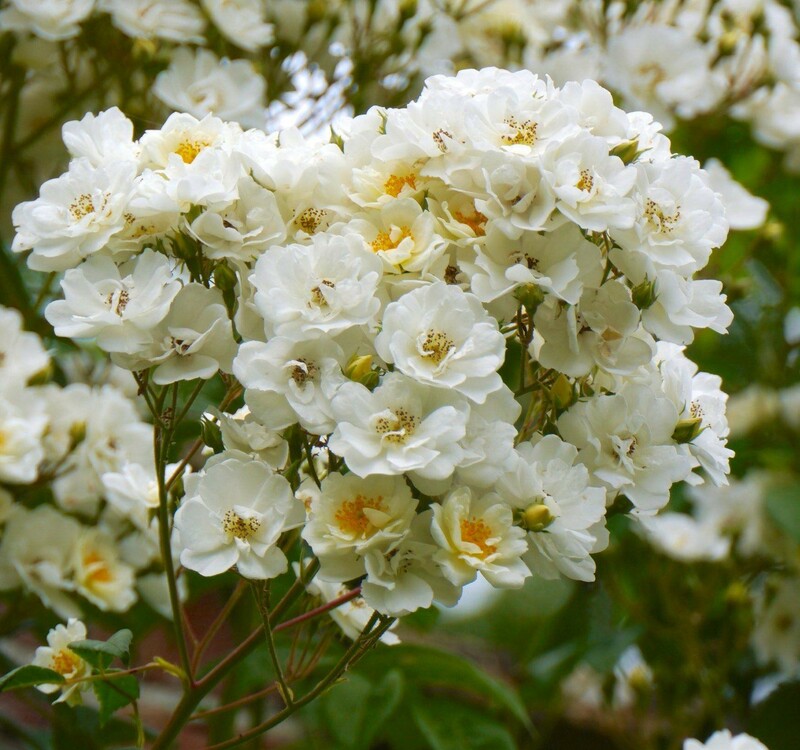 Rambling Rector is one of our most popular varieties of rambling rose, ranking very closely to Wedding day in terms of popularity. It carries large clusters of scented, semi-double, creamy-white flowers from July to September, followed by small, spherical, red rose-hips. 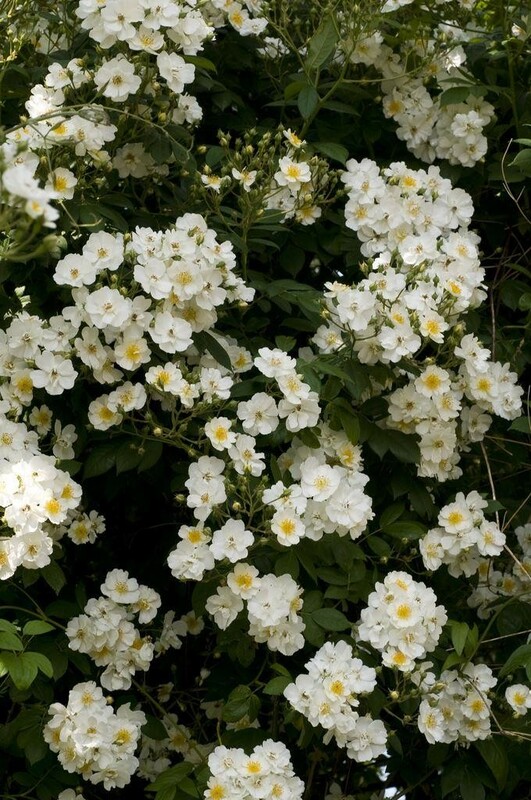 This vigorous, rambling rose is ideal for covering an unsightly structure or scrambling through a robust tree. 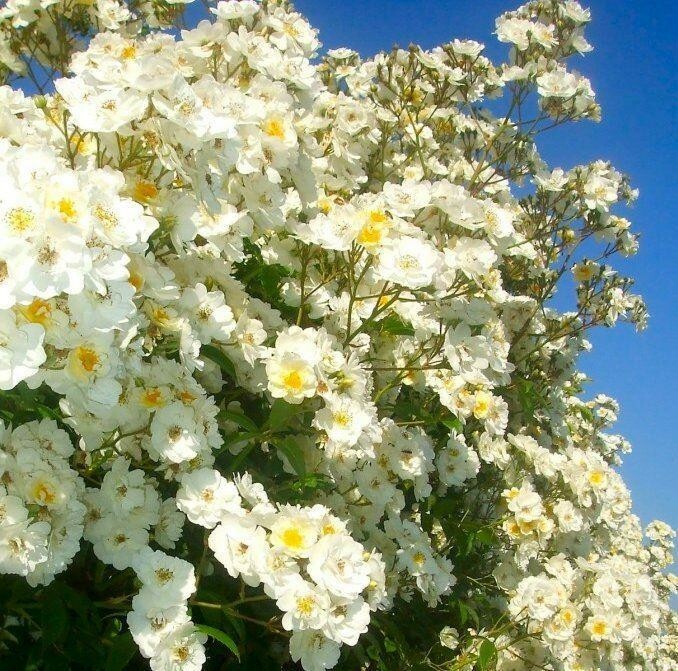 It's an excellent variety for wilder areas of the garden or for covering a north-facing wall. Strong plants supplied in approx 5 litre containers.